Anti-money laundering legislation was established in the country of Lithuania, a member of the European Union, on June 19, 1997 through the Anti-Money Laundering and Terrorist Financing Prevention Law [herein the “AML Law”]. The Financial Crimes Investigation Service (FCIS) under the Ministry of the Interior of the Republic of Lithuania is responsible for overseeing, monitoring and preventing money laundering and terrorist financing (AML/TF) in the country. FCIS is also the designated financial intelligence unit (FIU) of Lithuania (DOS, 2015). The codification of the AML law came from guidance of the European Union, to which Lithuania was seeking accession at the time. As an EU country, transnational AML directives are intended to supersede local laws, although member countries can refuse to implement them presuming they accept negative reporting, fines, and potential sanctions from EU agencies. However, Lithuania is on the EU White List of Equivalent Jurisdiction, meaning that AML laws are expected to be similar throughout all EU member states (KYC, 2016). Subsequent to the law’s original inception, 22 amendments have been added. The primary rationales for adding the amendments were EU compliance requirements that would better reflect current market conditions. The most recent implementation of an amendment occurred in January 2015. The changes made included the addition of CDD (Customer Due Diligence) obligations (covered in Section V) and record keeping and STR (Suspicious Transactions Reporting) systems (covered in sections III & IV) which MONEYVAL saw as shortcomings in the previous laws. FCIS also began implementation of new, more efficient procedures for electronic reporting measures. Lithuania is a small country of only 2 million people. It has a strong economy, but suffered considerably during an economic downturn beginning in 2008/9, which lead to an increase in organized crime (FCIS, 2015; Gutasukas, 2011). Therefore, there are still challenges in the implementation of its AML laws because it lacks logistical and legal mechanism in some areas of enforcement, especially in terms of terrorist financing (CoE, 2006). Much guidance and pressure of Lithuanian practices to combat money laundering comes from its membership in several organizations, especially the European Union agencies. Currently, Lithuania is a member of MONEYVAL, a committee within the EU’s Council of Europe that oversees Anti-Money Laundering measures and ensures member state compliance with EU directives. MONEYVAL is a member of the Financial Action Task Force (FATF), and, as such, oversees compliance in European countries that may not necessarily be members of FATF, such as Lithuania. One of the more significant FATF recommendations is for the countries to assess their national risk levels for money laundering and terrorist financing (2012). This recommendation was adopted by the EU as directive on May 20, 2015 making it applicable in Lithuania even though it is not a FATF member. As an EU member, Lithuania has to report to EU’s MONEYVAL committee on how it implements the FATF recommendations. As part of this requirement, Lithuania conducted a national risk assessment in 2015 by creating a working group of government agencies, as well as Deloitte Lietuva, a respected third-party auditing organization. According to the FCIS in Lithuania, such assessments will be conducted every 3 years with another one due next year (2018). Lithuania is considered to be FATF AML compliant or largely compliant in 30 of the FATF 40+9 recommendations, with the “plus 9” have less applicability given that Lithuania is considered to be “low risk” in terms of potential money laundering associated with terrorist financing (FCIS, 2014). As of 2006, Lithuania reported no known cases of terrorist financing funneled through Lithuania. Lithuania predominantly relies on the UN and EU to investigate, identify, and freeze assets related to terrorist financing (CoE, 2006). Some concerns highlighted in the IMF Report for Lithuania from 2014 found that, in accordance with the FATF 2012 report, there were “several deficiencies” with due diligence measures and transparency, especially within the financial intelligence unit and with regard to Politically Exposed Persons (PEPs; discussed in Section VI). As a response, the autonomy of the FCIS was enhanced (IMF Report, 2014). Until 2015, the last European money laundering directive issued by the EU Parliament and the Council of Europe fully implemented in Lithuania through the AML Law was the third directive, with its last amendments as of December 2011. An additional fourth directive is expected to be implemented by summer 2017. On May 15, 2015 the European Parliament and Council of Europe issued directive number 2015/849 regarding money laundering and terrorist financing perpetrated through financial systems. The main goal of this directive was to eliminate ambiguities that existed in former regulations by providing even more stringent obligations for reporting and due diligence to combat terrorist financing. This directive, commonly known as “IV AML/TF,” is slated to go into effect on June 26, 2017, which means that all EU member states were expected to have implemented it by that date. The IV AML/TF is not fully implemented in Lithuania yet, as many financial institutions report that they are still trying to assess the cost of this implementation (Ambrasas, 2017). However, not implementing this directive on time could resolve in fines as well as reputational risks for financial institutions. Abstaining from implementation thus could present institutions with even greater costs. Fines for non-compliance to EU-based directives (MONEYVAL and FATF) in Lithuanian are assigned as a percentage of an institution’s overall operating revenue. The current fine for sanction violations is 10 percent of a company’s annual revenue, to be not less than 5 million Euros. Violations also threaten the loss of a company’s license to do business in Lithuania and across the EU. While Lithuania’s relationship with the EU proves most influential in shaping Lithuania’s legislation and enforcement regarding AML, it is also a member of the Egmont Group, which is body of 152 Financial Intelligence Units (FIU’s), and an observer to the EAG (Eurasia Group). Most recently, Lithuania became a member of the Organization for Economic Cooperation and Development’s (OECD) Anti-Bribery Convention. Lithuania is also reviewed by other external agencies for their AML compliance. In 2016, the US Department of State Money Laundering Assessment (INCSR, 2016), Lithuania was deemed a ‘Monitored’ Jurisdiction, which means it is considered by the INCSR report to be a country on the list of those worldwide viewed by the Department of State as a “Major Money Laundering Countries” (DOS, 2012). However, its status as a monitored country is much less severe than those on the list of “Primary Concern” and “Concern.” The report states that Lithuania, which is not a major financial capital, has “adequate legal safeguards against money laundering” although its geographic location makes it primary location for the movement of goods and capital illegally. Importantly, the Department of State found no evidence of government participation in corruption related to money laundering (DOS, 2012). There are generally three types of money laundering in Lithuania: cash transfers to fake accounts; transfers to fictitious companies; transfers of funds either into or out of Lithuania resultant of a crime (often offshore accounts), and the acquisition of assets and stakes in companies either real or fictitious. Money laundering is codified in Part 1 of Article 216 of the Criminal Code as a criminal offense involving the possession of and/or intent to conceal the source of ill-gotten gains, with knowledge of their criminality, as a means to legalize or legitimate them (Burnes & Munro, 2017). Most money laundering in Lithuania involves sources from international organizations, criminal enterprises, or individuals, which is particularly problematic in Lithuania given that it is the easternmost border of the European Union from which assets and cash are transferred in or out to other non-EU countries (Gutauskas, 2011). The offense of money laundering does not only include money or cash, but also property (CoE, 2006). 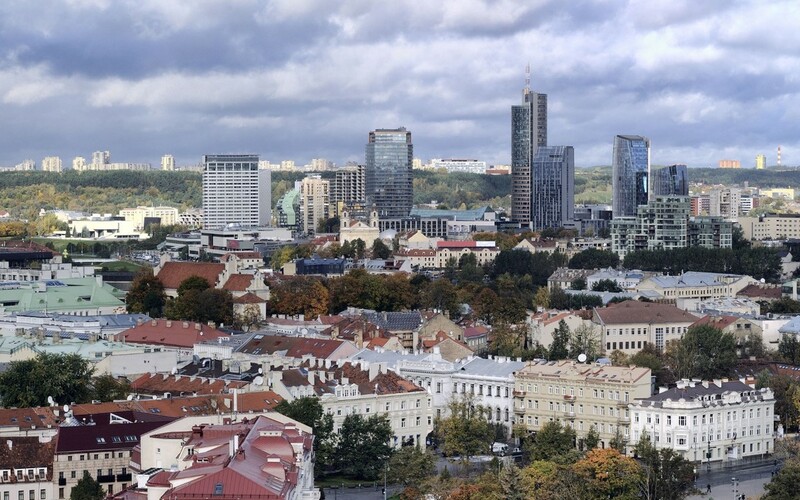 Enforcement of AML legislation, including the seizure of assets and international cooperation, is increasing in Lithuania. According to latest annual report published by Lithuania’s monitoring body, the FCIS, there has been an increase in the annual number of Suspicious Transactions Reports (STR) in Lithuania due to the provision of more resources allocated to AML/TF laws, including compliance and training. In 2016 there were 541 Suspicious Transactions Reports (STR) compared with 393 in 2013 (FCIS). About half of the STRs, the required reporting mechanisms, came from the banking sector with the most common type of laundering was the establishment of fictitious businesses, smuggling, and tax evasion. With the increases in monitoring/reporting of potentially fraudulent transitions comes an increase in the amount of assets seized. Confiscation of property illegally acquired is covered by Article 72 of the AML law, including property directly or indirectly acquired through the commission of a crime (CoE, 2006). According to the FCIS report (2016), a total of 10.2 million EUR were seized in 2016, up from 9 million EUR the year before. The report also shows that in 2015 there were 57 prosecutions and 12 convictions related to money laundering in Lithuania, showing enforcement through the use of the legal system. There is no data for 2016 as of yet. Lithuania has also increased their willingness to coordinate with other governments and agencies to monitor cross-national AML transactions. FCIS received 163 inquiries from other financial crimes watchdog groups in other countries (FCIS). More information about the success of Lithuanian enforcement and legislation should emerge in 2018 when the national working group assessment team (discussed in section I) undertakes its next three-year review. Money laundering is covered under several articles of the Criminal code, including 216 of the Penal Code and article 250 PC for the offense of terrorist financing. Lithuania applies an “all crimes” approach to criminalization of money laundering. As such, all criminal offenses that result in the generation of assets (cash or property) are considered “predicates” to the crime of laundering money. These include cases such as trafficking, racketeering, fraud, piracy, smuggling, extortion, and the like. Indirect and well as direct proceeds of the crime are covered, and in certain cases, the perpetrators of crimes related to money laundering can be tried under Lithuanian law even if they are not Lithuanian citizens. Prosecution of crimes inter alia are also covered by Lithuanian law when individuals arrange to commit a crime. Furthermore, a crime is prosecutable even if the predicates originated in states other than Lithuania. (CoE, 2006, p. 37-8). The consequences for money laundering are fines, arrest, and/or imprisonment for up to 4 years (Burnes & Munroe, 2017), with VAT fraud subject to up to 8 years in Lithuania (Eurasian Group, 2013). The AML/TF law in Lithuania holds many kinds of entities responsible for reporting suspicious activities ranging from financial services institutions to insurance companies to postal providers. The reason including such as wide swath of kinds of agencies is in line with their “all crimes” approach that holds the purveyors of the crime accountable, not just those who hold the outcomes of the crime (such as the laundered money). All required entities and individuals are expected to report any suspicious activities by filing STR’s and submitted them to the FCIS for investigation (Ambrasas, T., 2017). Failure to do so will result in fines (most commonly) or imprisonment for up to a year (Burnes & Munro, 2017). In Lithuania, financial and non-financial entities charged with prevention of such activities are broadly conceived. The law mandates legal accountability for Designated Non-Financial Businesses and Professions (DNFBP) in addition to financial institutions, as Table 2 shows. More specifically, the Client Due Diligence (CDD) amendment added to Lithuania’s AML law in 2015 (See Section I) is required for all entities held accountable for AML/TF laws to provide more stringent accounting. The requirements outlined in this amendment provide even more intentional measures to identify and verify customers or the beneficial owners of goods or transactions. Additionally, the law requires entities to verify that transactions match the intended business purpose stated by the customers and the source of funds is established. Also, AML/TF-covered entities are now expected to perform an ongoing monitoring of their client’s business relationships to prohibit potential laundering. Furthermore, Lithuanian AML Law specifies that Enhanced Due Diligence (EDD) should be performed in additional situations as well when a foreign Politically Exposed Person (PEP) is involved, a prior shortcoming noted in the IMF report (2014) discussed in section II, or when there is a great probability or risk of money laundering and/or terrorist financing. Such relationships are expected should be continuously monitored with “enhanced” procedures that require further investigations into the client or termination of the relationship when money laundering is suspected. Organizations subject to EDD are permitted to rely on due diligence by a third party as long as the provider is properly registered and follows the same or similar requirements as the engaging organization is required to follow. Important to potential areas of improvement in due diligence legislation is the fact that EDD pertains to foreign PEPs, but not domestic ones. (DOS) However, the fourth ML/TF directive does include PEP’s that are domestic or within the EU. Lithuania further has a “Known Your Customer” (KYC) rule of identifying and establishing client identities. Furthermore, organizations are prohibited from “tipping off” anyone under investigation once a complaint has been filed with FCIS (Burnes & Munro, 2017). There are several definitions of money laundering in Lithuania, which complicate enforcement (Burnes & Munroe, 2017). According to Lithuanian laws, one can be convicted of a crime if actus reus (physical commission of a crime) and mens rea(willful intention or knowledge of wrongdoing) are proven. The law in Lithuania was amended in 2004 to include “knowledge” of the crime as a punishable offense, with conversion, concealment, and acquisition of property or money all punishable by law. As such, to be prosecuted, the person must knowingly be party to the crime committed in the acquisition of goods or money, but does not necessarily have to be engaged personally in the act of concealment of the crime to be held accountable for it (Burnes & Munro, 2017). Persecution of money laundering is largely influenced by the seriousness with which the EU approaches its legislation across all member states. The EU’s fourth directive considers money laundering to be a criminal crime and classifies it amongst the category “Serious Crimes.” EU directives apply mens rea so a lower count can be suitable for persecution in court. Their directives hold the leadership of organizations accountable, inclusive of anyone who has AML understanding and knowledge or who has enough understanding on this subject. In 2011, Lithuanian Parliament amended the code XIP-1678(2) (Secretariat, 2011) to increase the fines for money laundering and terrorist financing. The purpose of the amendment was to be more effective and proportionate in administering punishment that would discourage the crime. Fines increased for failing to properly identify the person or beneficiary of a transaction and for failing to report suspicious activity. This was based on recommendations that critiqued divisions of power between those who oversaw the intention to commit money laundering (the FCIS) and those who investigated the perpetration of crimes (the police) (CoE, 2006). While Lithuania is part of the EU and is subject to the oversight of its membership organizations and outside parties, it still has numerous challenges in the implementation of its anti-money laundering and terrorist financing laws. Lithuanian legislation is responsive to organizational recommendations, including a broad understandings of accountability with regards to covered entities, but enforcement remains an area for improvement, especially as the potential for money laundering remains high given its geographic location. There are many instances in which Lithuania could better address the concerns of the past evaluations, including having a more concise definition of money laundering and implementing enforcement mechanisms that hold parties accountable for following enhanced and customer due diligence requirements. Recently, EU regulators noted that institutions in Lithuania are still failing to implement the minimum requirements necessary to identify their customers, as they still use old technologies and paper forms for information gathering. Furthermore, Deloitte’s reports found that financial institutions don’t have adequate software to identify the “red flags” of ML/TF transactions (Ambrasas, 2017). Also, most EU countries criminalized ML/TF as a “serious crime”, but they do not necessarily share a definition on what actions constitute the perpetuation of the offense. The result of this is EU-wide inconsistencies in the persecution of money laundering. Moreover, organized crime is common in Lithuania, and often they seek to operate in countries with the weakest AML/TF regulations. Nevertheless, prosecuting individuals and organizations for their failures to implement AML/TF laws in sectors such as insurance and banking is growing across the EU. This raises a question about how ready Lithuania is for the future of AML/TF implementation and enforcement. Can Lithuanian institutions better coordinate with other countries, as most money laundering in Lithuania has origins outside its borders, and will it invest in the infrastructure to carry out the needed oversight? No doubt, Lithuanian AML/TF laws have undergone significant revisions to go after offenders, especially those in organized crime, but they still face great challenges ahead. Burnes, W.H. & Munro, R.J. (2017). Money Laundering, Asset Forfeiture and Recovery and Compliance: A Global Guide. NY, NY: Matthew Bender & Company. Retrieved from LexisNexis. Gutasukas, A. (2011). Economic Crisis and Organized Crime in Lithuania, Jurisprudence, 18(1), pp. 303–326. 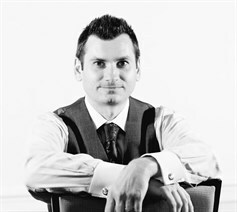 A native of Lithuania, Rokas Beresniovas holds a bachelor’s degree in marketing from Kaunas College. He has over 15 years experience leading sales and business development efforts for companies such as Bank of America, Wells Fargo, HSBC Bank, State Bank of India, and most recently CAF America, where he was Senior Director of Development for North America. 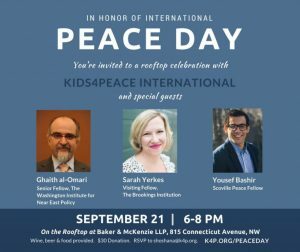 He is active in the community, serving on advisory boards for Kids 4 Peace International, End Violence Against Women International, and an honorary advisory board member for The Embassy Series. Recently, Rokas was awarded the 2016 SmartCEO Washington DC Executive Management Award. Web Partners is an award-winning digital marketing agency that exclusively serves the healthcare industry. Formerly known as Tivilon, the company was established in 2001 and has since grown to become a trusted, results-driven provider for well-recognized clients, such as Chesapeake Urology, Ascension Health, and Capital Women’s Care. Our CURIS™ Web Platform is a one-of-a-kind, HIPAA-compliant digital patient acquisition tool that includes our custom website design, social media, content creation, analytics, and reputation management services. We provide exceptional service to the medical community. For more information about Web Partners, visit: or call (877) 848-4566. Interview with the group’s Senior Director of Development Rokas Beresniovas. Rokas Beresniovas is the Senior Director of Development, Marketing, and Communications at Charities Aid Foundation – America. Headquartered in Alexandria, VA, CAF America bridges the gap between donors and beneficiaries. The organization has a presence in six continents and ensures that philanthropists both institutional and individual experience a hassle-free and effective transition of funds within the US as well as abroad. With experience spanning more than two decades, the organization has been managing charitable funds to the tune of more than $4 billion. Prior to joining CAF America, the Lithuania-born Beresniovas was a Vice President at the State Bank of India California in Washington, DC. He is a winner of the 2016 SmartCEO Washington DC Executive Management Award and was a finalist for the 2015 SmartCEO Washington DC Money Manager Award. 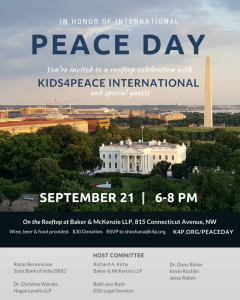 He has also served on the boards of a number of community organizations, including the Georgetown Business Association (GBA), Kids 4 Peace International and End Violence Against Women International. In a freewheeling interview with the American Bazaar, Beresniovas talks about the organization’s endeavors for a clean and effectual philanthropic environment, globally, and, its plans to start diaspora funds. Tell us about CAF America’s activities in India and South Asia. CAF America operates globally by supporting organizations that address immediate social needs through charitable giving, as well as maintaining connections between global communities. Our work in India and South Asia is no different and, by utilizing our services, donors are able to support a variety of great causes throughout the region ranging from food distribution to literacy training to environmental concerns, and many more. Additionally, our Global Alliance partner, CAF India, operates extensively within the country and works with a number of organizations on the ground. For individual philanthropists and small organizations, what are the advantages of working with CAF America? There are several advantages to working with a mid-size organization like CAF America. We are a proven leader in international giving with 25 years of experience in the field and counting. This allows our clients to give confidently, knowing their interests guide what we do on a day-to-day basis. In choosing to pursue philanthropic initiatives through CAF America, our clients are relieved of the administrative burdens of grantmaking while still being able to support the causes and issues that matter to them around the globe while still receiving a US tax-deduction that also benefits their growth and profitability in the US. Our trusted expertise also allows us to explore creative solutions tailored to our clients should the need arise, including aligning charitable donations with the United Nation’s Sustainable Development Goals (SDGs) – in support of the SDG Philanthropy Platform, of which we are a partner along with other industry leaders such as the Hilton, Rockefeller, Ford, and MasterCard Foundations. CAF America recently started a diaspora fund for Bangladesh. Tell us more about it. The Diaspora Gives Bangladesh (DGB) is a recent philanthropic initiative of CAF America’s that is designed to engage with the Bangladesh diaspora and provide them with an easy, safe, and effective model to give back to Bangladesh with funds earned abroad. DGB is a partnership led by CAF America with USAID and Chevron as instrumental partners. By providing a solution for international, tax-effective giving, DGB enables members of the diaspora to give in a concerted manner to support a variety of causes and geographic areas. Diaspora communities possess a significant amount of financial and human capital while often having considerable interest in giving back to their home countries to address economic and social challenges. DGB’s objective is to empower the Bangladeshi diaspora to tax-effectively channel philanthropic capital to their country of origin in ways that are beneficial for community and country-wide sustainable development. Are you considering similar funds targeting other diaspora groups, including Indian Americans? CAF America is indeed considering opening similar funds focused toward other diaspora populations. Bangladesh is our inaugural initiative, but through diligent monitoring and research we expect to be able to identify a number of suitable diaspora communities residing in North America with which we hope to engage. 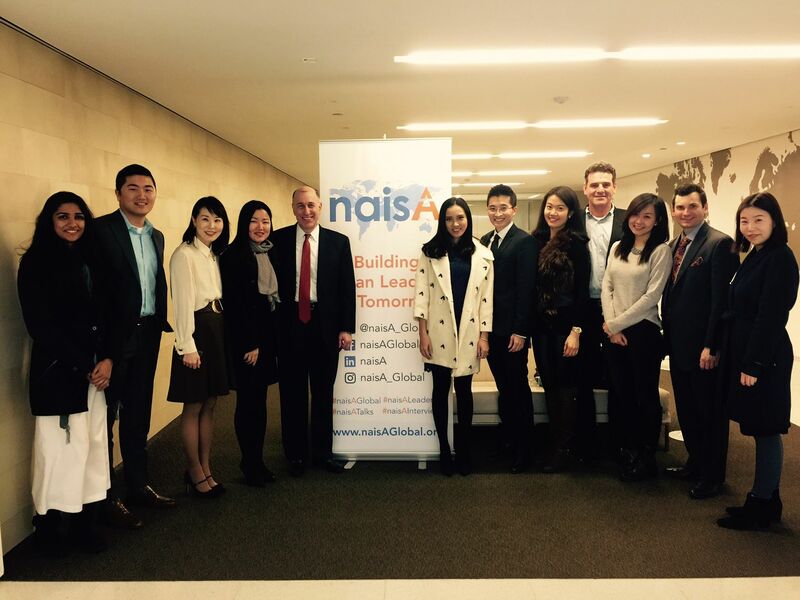 You are transitioning from banking to philanthropy and development. How big of a challenge is that? Philanthropy and NGO’s both require considerable due diligence to ensure that the client’s financial capital is used for its intended purpose. This requires adhering to regulations, such as anti-money laundering rules, as well as taking care to mitigate risk and protect the client’s reputation. The difference with international development is that the financial investment also help donors to give back internationally to vetted charities around the world, which is a rewarding way to help direct investments. Read more. 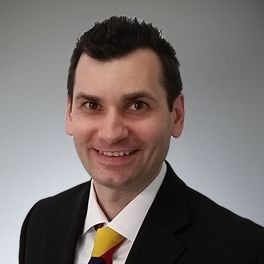 Beresniovas joins CAF America as their new Senior Director after 17 years of experience in the finance industry and an extensive background with non-profits in both volunteer and board member capacities. Recently, Rokas was awarded the 2016 SmartCEO Washington DC Executive Management Award and was a finalist for the 2015 SmartCEO Washington DC Money Manager Award. Read more. One of the clearest options for overseas Indians is to travel back to India to exchange the notes in person. A sign in in front of the SBI (California) office in Washington, DC. In the past week, ever since the Government of India announced that they will be phasing out the 500 and 1,000 ($7.35; $14.70 ) Indian rupee denominations to combat corruption and the “black money” economy, my inbox and phone have been off the hook. 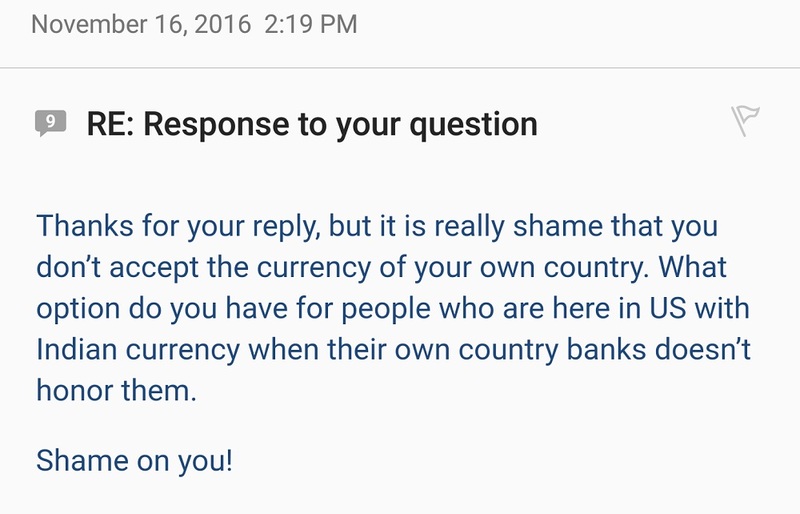 I work for a bank based out of India operating in the US and people who relied on the black money currency want to deposit it before it becomes worthless. In the morning, I usually find up to 100 messages from the night before and during the day, sometimes all four lines are ringing simultaneously. And then there are walk-ins. Yesterday, one person came in with a grocery bag overflowing with rupees. Today, I got yelled at in person, which I guess was at least a change from getting yelled at on email. The 22 billion banned currency notes represent 85% of the cash in circulation in India, which is an overwhelmingly cash-based economy. This change represents a challenging overhaul, but it is intended to move away from untaxed, below board exchanges to benefit the modernization of the country in the long run. Experts say, this decision will make or break Modi’s tenure as Prime Minister. Despite many rumors about which banks do or do not accept or exchange rupees in the United States, the fact is, they are not legal banking tender in the United States of America. Not even our bank, even with the word “India” in the bank’s name, takes deposits in Indian money. We are regulated by the U.S. authority and do business in U.S. currency just like any other bank here. So where does the confusion arise? Some banks offer something called foreign currency accounts, but they are often for high premiums, only for competitive foreign currencies, and require vetting processes for high level investors in the international market. Additionally, The Reserve Bank of India (RBI) says that Indians could deposit the bills in non-resident ordinary rupee accounts, a type of bank account where people living abroad park income earned in India. However, even if you do have a non-resident ordinary rupee account that account is still located in India and not in the U.S. Therefore, you still have to travel to India in order to make that cash deposit. An email the writer received from an angry customer. One of the clearest options for overseas Indians is to travel back to India to exchange the notes in person. Indians will be able to exchange their old notes for new ones at the country’s banks until December 30. Overall, the difficult reality is that U.S. banks do not operate on these notes, and there is little the banks can do. I hope this clears up the confusion that people might have. 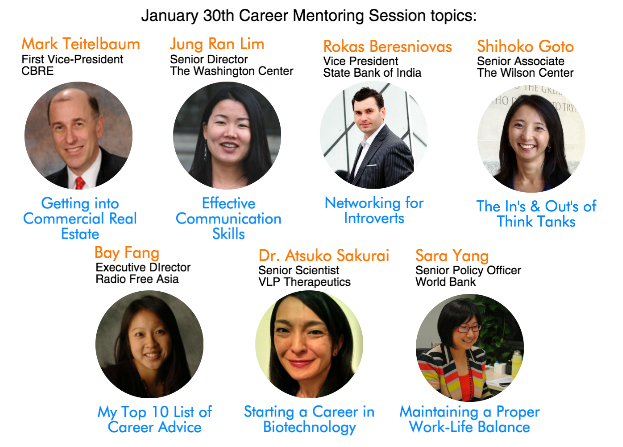 Rokas Beresniovas named SmartCEO 2016 Center of Influence Honoree in Washington DC. 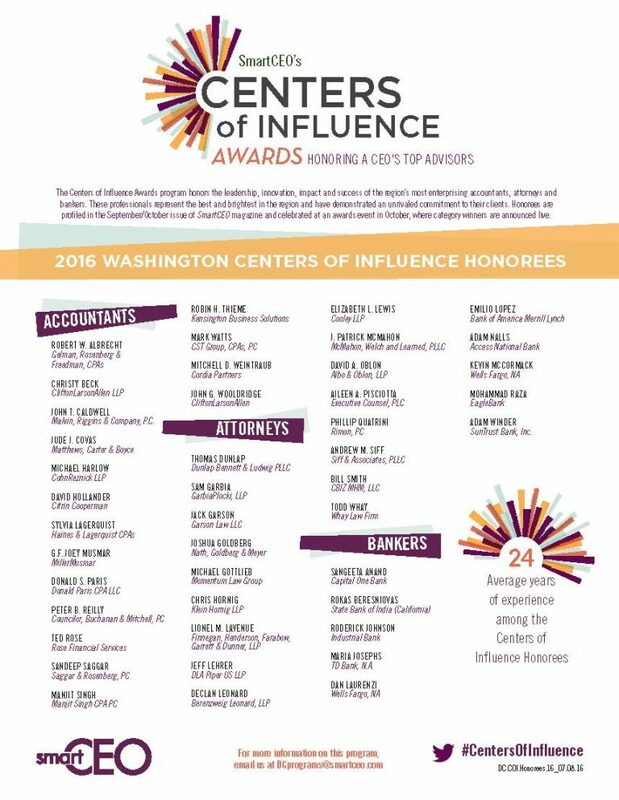 The Centers of Influence Awards program honors the leadership, innovation, impact and success of the region’s most enterprising accountants, attorneys and bankers. These professionals represent the best and brightest in the region and have demonstrated an unrivaled commitment to their clients.